Many day trips or overnight hiking trips in the White Mountains of New Hampshire are fairly straight forward: pack enough food and water, bring extra socks, a first-aid kit, etc. 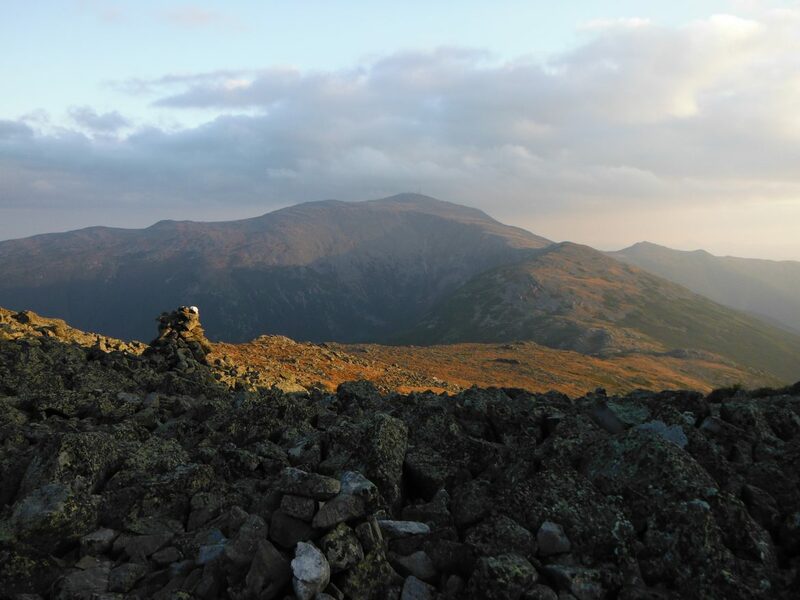 However, completing the 20-24 mile Presidential Range Traverse takes a serious amount of planning, or you may end up lost, cold, hungry, and with no exit strategy. Lucky for you, I’ve done a lot of the work. Use this as a guide for your future trip, always taking into consideration that the Prezi range has some of the worst weather in the world, and that you have to be ready to turn around or go down at a moments notice. o Note – only fill up 1 water bottle for the hike up Madison, Madison hut has water and you can save 3-4 lbs on this 5000ft hike by doing this. o Note – following the Gulfside trail will avoid all peaks if for some reason you need to. There is a way around every summit if the weather gets bad. CAMP: somewhere after Jefferson, probably on the Sprinx trail below tree line. You must camp 200 ft off the trail and below tree line. Spinx trail is your best bet for flatish (if not marshy) areas to get some shut eye. o Note – the biggest mistake people make is spending too much time here. Get some food and hot cocoa and keep moving! · Note: From now on the peaks aren’t marked very well until you get to Eisenhauer again. o Mizpah hut has water and snacks and is between Pierce and Jackson. We had a glorious bowl of tomato vegetable soup here last time! o EVAC – from summit descent via Jackson Bridge Trail to Webster Jackson Trail, or continue to down Webster Cliff Trail to Mt Webster and descend to rt 302 via Webster Cliff Trail or Webster Bridge to Webster Jackson Trail to Highland Center. o Food, lots of it. o Crocs or super lightweight flip flops for camp/rivers. Hopefully this helps you prepare for your first Prezi Traverse. Remember to always check the weather before you leave from the Mt. Washington Observatory website. Perfect for pre-planning! Thank you!